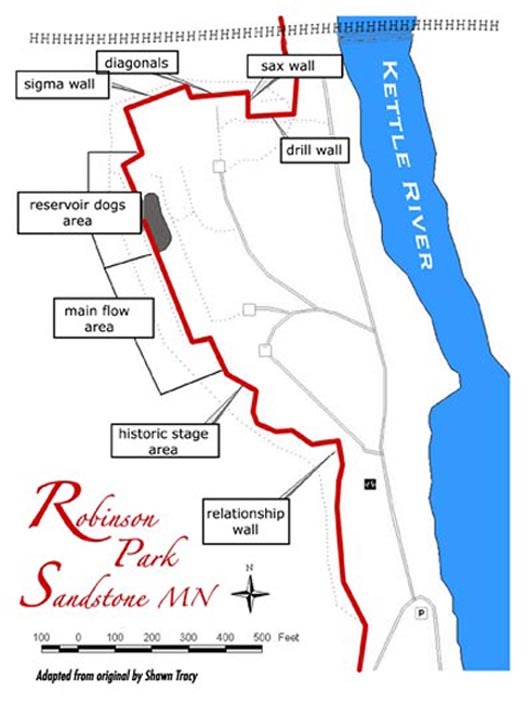 Robinson Park in Sandstone, Minnesota has year round access to climbing, hiking, camping, and whitewater paddling. Climbing options include sport routes, trad routes and bouldering – ice climbing, and “mixed” rock and ice climbs. Routes range from 60 to 90 feet in height. Special recognition for the success of the Ice Park belongs to the City of Sandstone, the Minnesota Climbers Association, and the volunteer climbers who helped to make the dream come true. 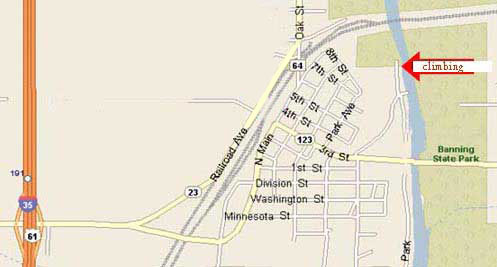 Located just off interstate highway 35, roughly half way between the Twin Cities and Duluth. Follow highway 123 through town. turn left on Old Wagon Road just before you cross the Kettle River. Hotels in Hinckley Minnesota are only 10 minutes for the Sandstone Ice Park. Camping is also available in Robinson Park for a small fee. For questions about camping in Robinson Park call City Hall at (320)245-5241. 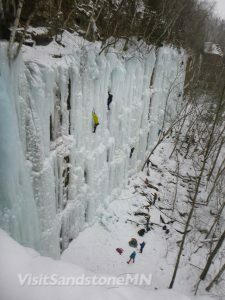 No need to invest thousands of $$ for ice climbing equipment, local rafting and climbing guide service, Hard Water Sports, now offers ice climbing gear rental. Ice Climbing Gear Rental Located right in downtown Sandstone, MN it’s super convenient to gear up and give the sports of ice climbing a try.